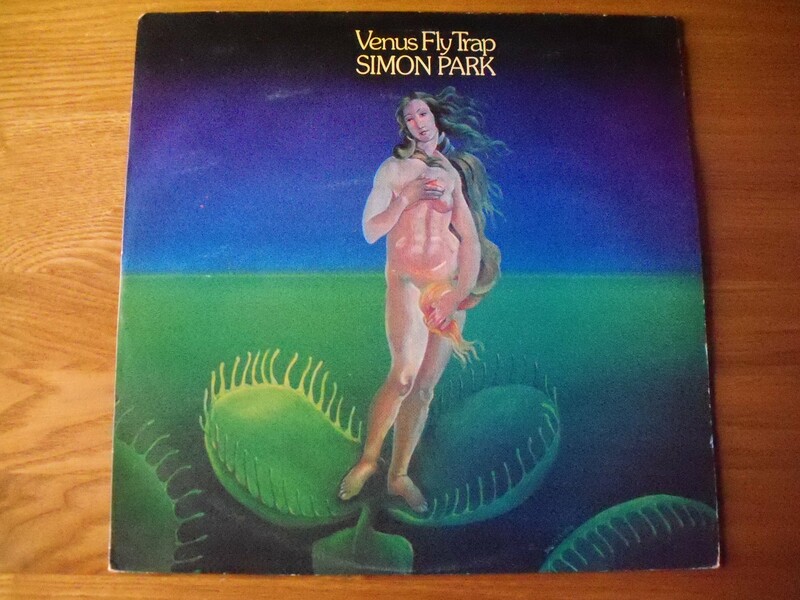 Venus Fly Trap is Simon Park’s follow-up to Something In The Air and emerged on the EMI label during 1975. The title track is one of four self-penned numbers. 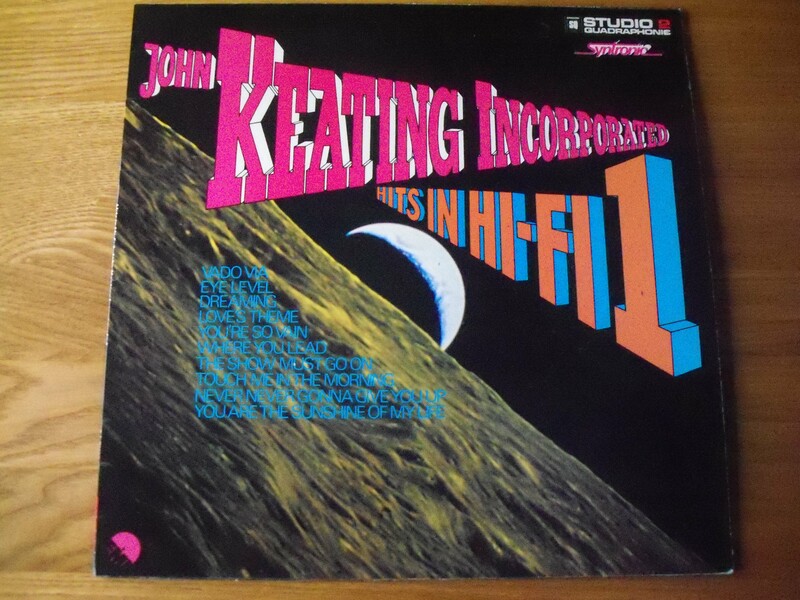 It features contrasting light / dark moog sounds with some furious percussion and organ work. 5.56 Boogie (just over four minutes long) continues this edgy vibe with an organic proto-1980s synth melody beloved of industrial documentaries. On the other hand Soul Sarabande is a gentle shimmering flute-glider that should have been used for romantic scenes in Crossroads. The dramatic keys of Tides complete this most satisfying quartet of tracks. Other treats in store for you include a most atmospheric stab at I Can’t Stand The Rain and a suitably manic cover of killer Sparks number This Town Ain’t Big Enough For Both Of Us. Squelch! Lay Lady Lay is transformed into a drugged-up six minute odyssey of sparse electronics and fractured chords while the surprising Bowie cover is from Hunky Dory – Oh, You Pretty Things – nice violin work. I’m led to believe that library supremo Roger Webb penned Remember When – a beautiful romantic number that’s wonderfully melodic and should really have closed the LP instead of the workmanlike version of (There’s) Always Something There To Remind Me . Back in 1970 Gil Trythall was composer and faculty member at Peabody School of Music. 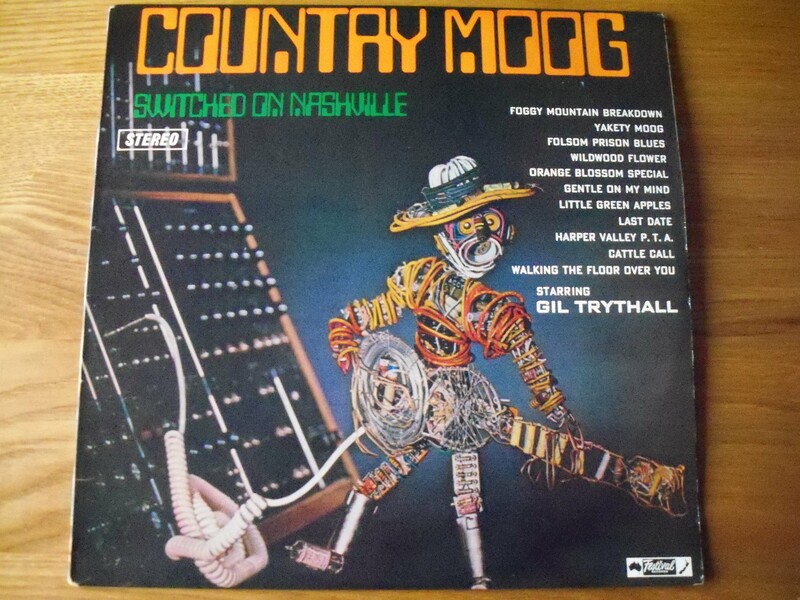 As a native Tennessean, he was a big country music fan and combined this with his electronic expertise to create this unique LP under the supervision of Rick Powell. After a sped-up and insane Foggy Mountain Breakdown the LP settles down happily with melancholy moogy twangs as Folsom Prison Blues and Last Date boom out of the speakers. Other highlights include Cattle Call – a spooky and almost mournful piece calling to mind rural isolation – and a slowed down Little Green Apples that’s just creepy. 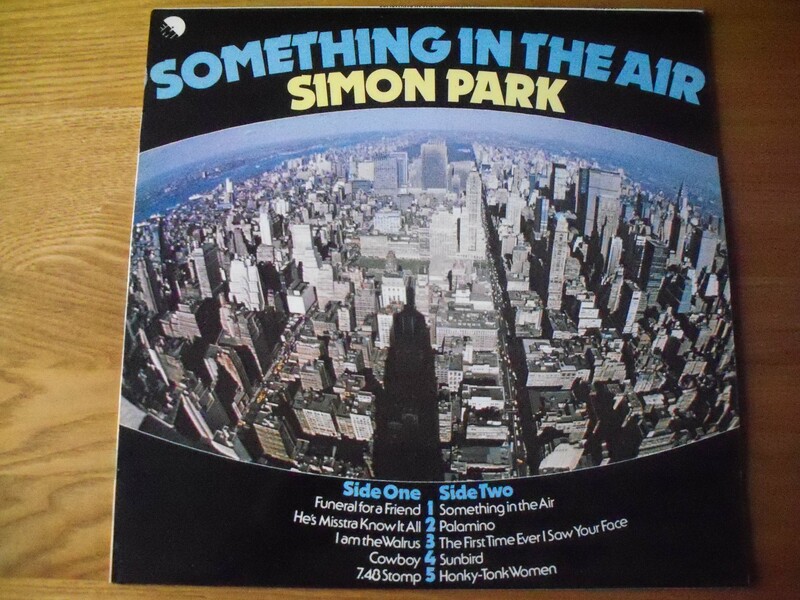 It’s hard to believe it nowadays but Simon Park had a UK Number 1 in 1973 with Eye Level, better known as the theme from Van Der Valk (the detective show set in Amsterdam and starring Barry “Frenzy” Morse). Take a bow record public. The follow LP was called Something In The Air and is an altogether different beast. It starts with a malevolent surge of doom-laden electronics before a pummelling cascade of moog, bass guitars and mental percussion takes over. The track is Elton John’s Funeral For A Friend. A lush antitode in the form of a sublime He’s Misstra Know It All is next – a sweet concotion indeed which contains a wholesome taste of flute. A crazed organ psych version of I Am The Walrus comes afterwards before an odd choice – the moody and downbeat Cowboy (originally written by Randy Newman). To round off this entirely magnificent opening half Simon treats us to one of his own compositions – the epic speed lounge that is 7.48 Stomp which comes complete with epic prog breakdown halfway through. After a decent bash at the title track it’s time for a Jack Trombey tune. Palamino’s the name – and shades of Morricone’s the game. With a pinch of deranged wah-wah classical for good measure. Another Park goodie is the brief but memorable sundown moog groove of Sunbird. On the final lap it’s another treat – a tasty and lengthy Honky Tonk Women. 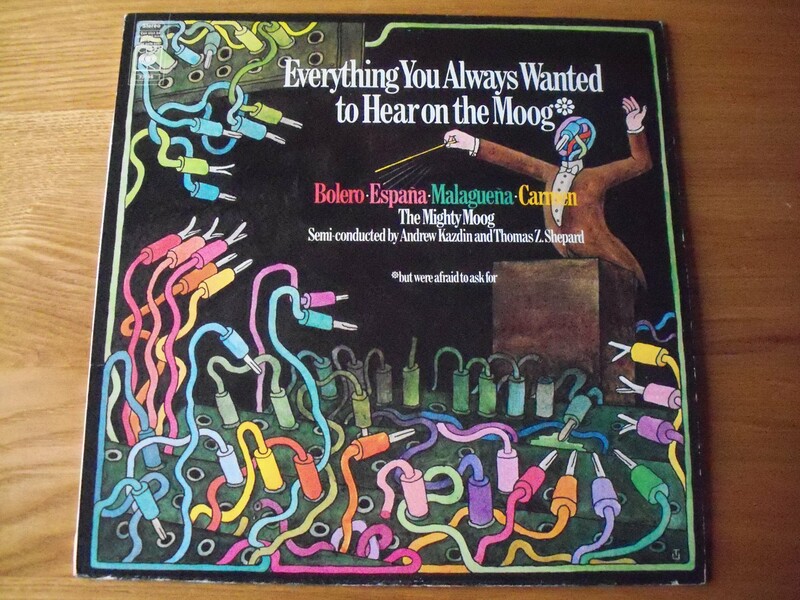 Mort Garson’s final album is probably his strangest in a long line of weird but wonderful LPs. 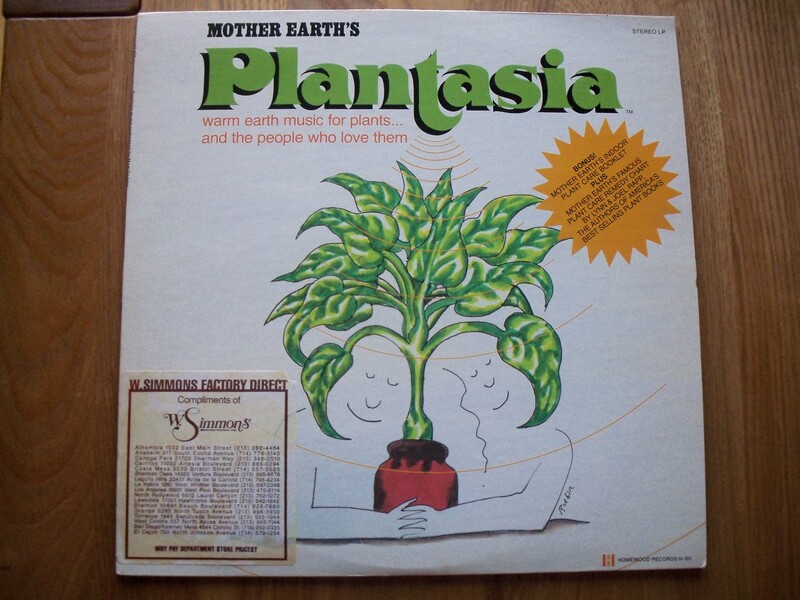 Mother Earth’s Plantasia was released on the Homewood label just as the long hot summer of 1976 was coming to a close. 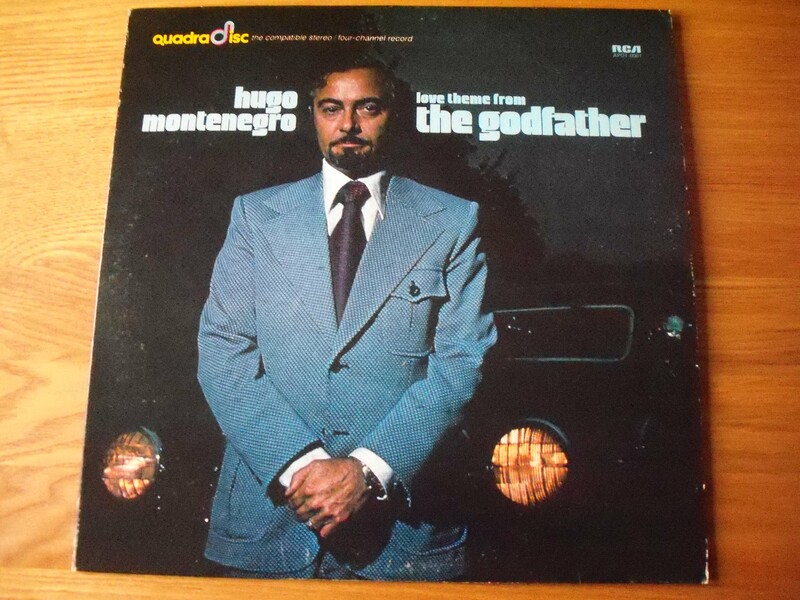 If you were living in southern California and were lucky enough to purchase a Simmons’ mattress from one of their local stores then you may have been given a free copy of this album with your bedding. The premise is “Warm earth music for plants and the people who love them”. The title track is a forlorn and evocative soundscape of shimmering melodies while Baby’s Tears Blues would make the perfect soundtrack for a child’s monitor – all tinny synths and bonkers keyboards. Ode To An African Violet is more minimal in delivery with a moody refrain pulsating under a delightful arrangement. Think of Warp records and Plone. The second side of the LP finishes very strongly with the edgy melancholia of A Mellow Mood For Maidenhair before the downbeat strains of Music To Soothe The Savage Snake Plant come crashing in. All of this madness is accompanied by a very detailed and descriptive plant care booklet which makes for compelling reading. Take two CBS producers from their Masterworks department and hook them up with oscillators, filters and amplifiers. A Moog cookbook with four classics as the recipes. The material is uniformly strong but the true high points are the grooved-up Habanera and meandering yet hypnotic side-long Bolero.